Starbucks hopes you'll ring in the New Year with their new trio of Tuxedo beverages. 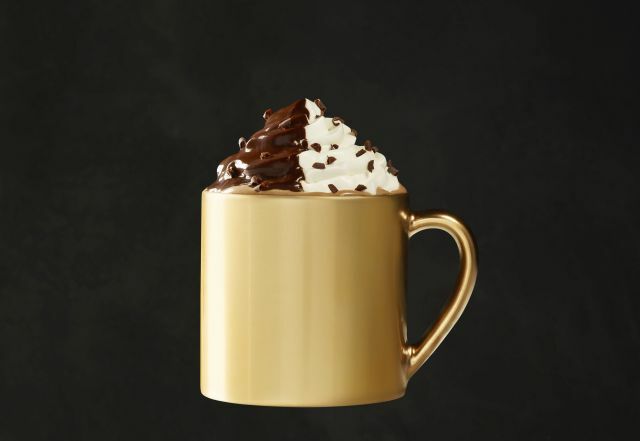 Featuring a black-and-white theme (like a tuxedo) that's most visually represented by whipped cream with a layer of mocha drizzle atop half of it, you can find the Tuxedo Mocha, Tuxedo Hot Chocolate, and Tuxedo Frappuccino for a very limited time at participating Starbucks locations in the US and Canada. 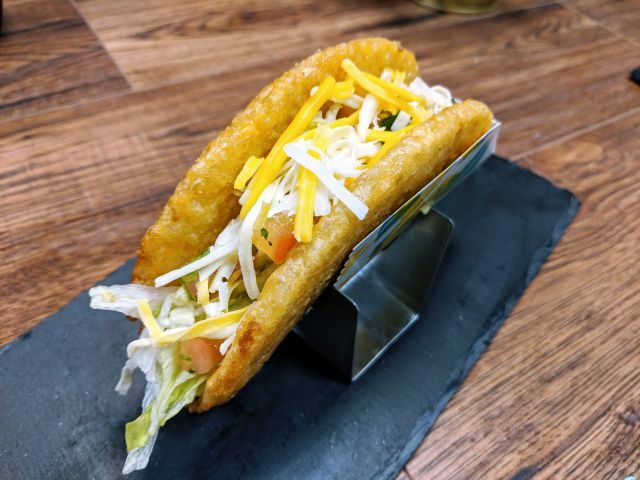 They're only available through January 1, 2017 (although you can custom order them later since they're made with zero new or limited-time ingredients). The Tuxedo Mocha features steamed milk, mocha sauce, espresso, and white chocolate mocha sauce topped with whipped cream, mocha drizzle, and a sprinkle of dark chocolate curls. It's available hot or iced. The Tuxedo Hot Chocolate is the same drink minus the espresso. 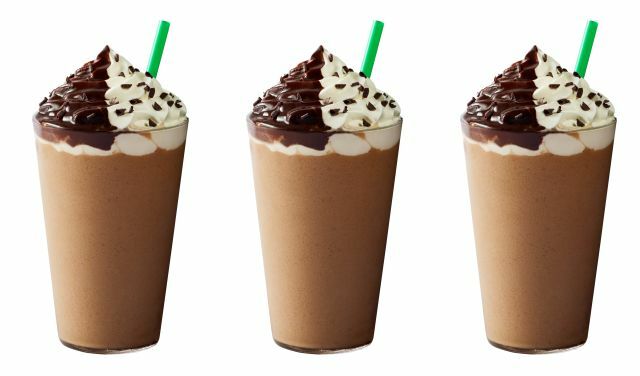 The Tuxedo Mocha Frappuccino consists of mocha sauce, white chocolate mocha sauce, Frappuccino Roast coffee, milk, and ice blended together and comes topped in the same manner as the other two Tuxedo drinks.